It’s the casually elegant midtown eatery we’ve all been waiting for: Cotton & Rye opened in the Thomas Square neighborhood last August, and the adoration was instantaneous. Located inside an old bank that has hosted a slew of other fine eateries, Cotton & Rye upped Savannah’s fine dining game and delivers exactly what you’d expect from the name: Classical inspiration and damn good cocktails. Owner Zach Shultz and Chef Brandon Whitestone have developed a clever, contemporary take on Southern fare with dishes like Andouille-spiced Carolina trout and shrimp ‘n’ grits topped with crumbled bacon and seared tomatoes. Chef’s wife Kimberly Whitestone rounds out this highly palatable partnership as general manager and chief bartender, shaking and stirring up a delightful array of concoctions with selections from the wall of craft whiskeys. (The Antebellum with its dash of Dijon mustard is not to be missed. 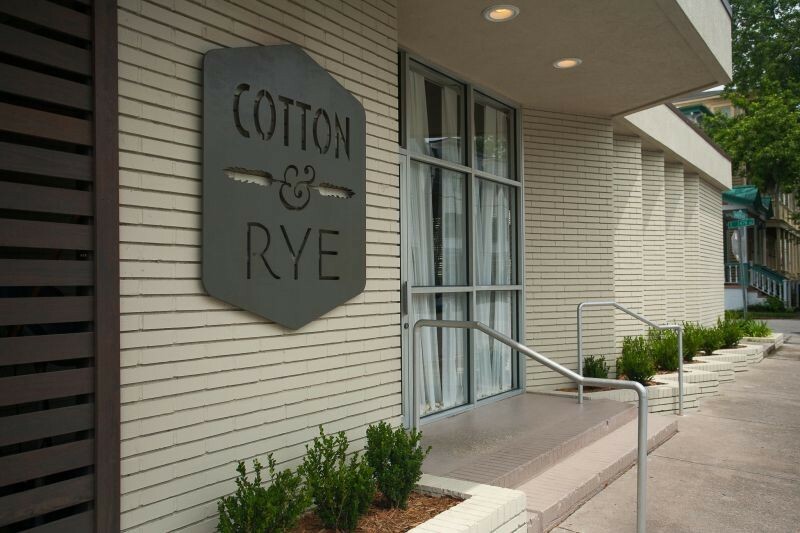 The “rye” also applies to C&R’s signature bread, baked fresh daily and served in a white cotton cloth. But don’t spoil your appetite for the generous appetizers and entrees. “The menu is simple and each dish exudes a farm-to-table freshness that makes you want to order just one more,” Connect food writer Cheryl Baisden Solis advised in her review. Dessert is a whole other bowl of wonderful, from sweet confections to traditional cheese plates piled with chutney and fruit. We’re currently obsessed with the Chocolate Buttermilk Pie, a sinful caramel-infused indulgence topped with salted whipped cream.